Obtenez ce transfert de bail pendant 32 mois pour des paiements mensuels équivalents U 495.76$/Mois +Tx apr s incitatif. Vous pourrez rouler 100 Km par mois. 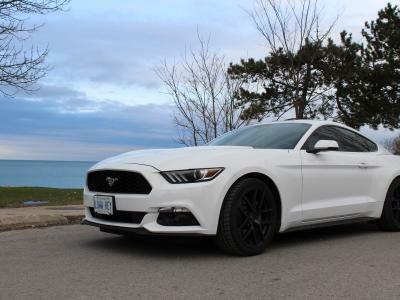 Ford Mustang Ecoboost 2017 Fermer la fentre. 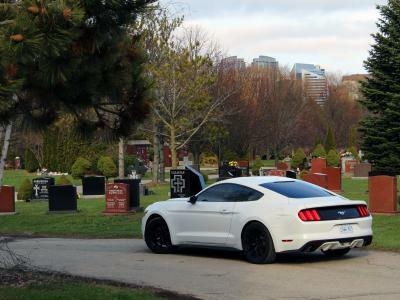 2017 Oxford white Mustang ecoboost premium with performance package and shaker audio w/subwoofer mint condition/no scratches/like new. Low mileage ~4800 kms Transmission: 6 speed manual Fully loaded with back up camera, sync3, navigation, 12 inch display screen, leather seats with cooler/warmer. Fog lamps, voice activated controls, Wifi/bluetooth connectivity, Pony projection light, tinted windows. 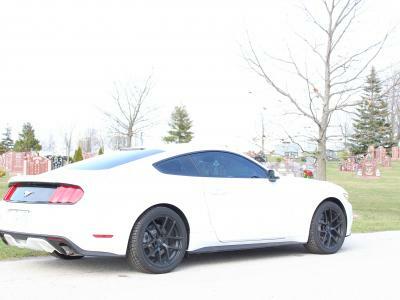 19 inch black rims 255R40 performance summer tires. Winter tires with FAST wheels available. Original lease term: 48 months Months left: 42 months Monthly payment: CAD570 (Taxes and wearcare* package included) *Wearcare package takes care of damages, if any, upto CAD4000 when you return your car after the lease term. Just pay the lease transfer fee and the car is yours for 570 per month or 285 bi-weekly. Note: The car has very good gas mileage. I saw 6.3 kmpl while on the highway on cruise control. And the turbo spool whistle is just perfect.